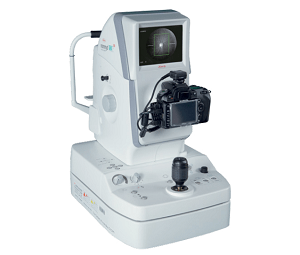 The Nonmyd WX3D is a versatile retinal camera offering both 2D and superior stereo 3D images while maintaining Kowa’s longstanding tradition of high quality imaging and ease of use. The incredibly detailed stereoscopic 3D images delivered through the 3D mode will help you diagnose your patients by providing imaging capabilities unmatched by any other combination retinal imaging device. The Nonmyd WX3D enables 3D viewing of images taken of the ONH and macula, thus providing superior stereo images to support diagnosis of sight threatening conditions such as glaucoma.